The Hawke's Bay DHB has reported a financial deficit of $6.8 million for the 2017/18 year, reflecting what has been described as the most difficult year of the past eight. Hawke’s Bay DHB chief executive Kevin Snee says the organisation intends to take a more long-term view of its investment approach to manage ongoing costs. The Hawke’s Bay DHB has reported a financial deficit of $6.8 million for the 2017/18 year, reflecting what has been described as the most difficult year of the past eight. The numbers were presented in a paper to the board’s monthly meeting this week, which noted that the deficit was $3.7m higher than forecast due to several factors, including high patient volumes in June this year, which resulted in that month’s result being $4.6m less than planned. Other factors included a $1.1m increase in provisions for employee entitlements for claims or backpays, a $500,000 reduction in expected Pharmac funding, and $800,000 in costs for undischarged patients being treated at other DHBs. Difficulties achieving savings, the cost of elective surgery earlier in the year, after-hours radiology reads, and high patient volumes in the second half of the year, particularly in June, were also factors. Over the full year patient numbers were up 4.1 per cent on expected figures, with medical, surgical, neonatal and paediatric acute cases all above expectations. The paper said the final full year result was $8.3m less than the planned $1.5m surplus, and this was unlikely to change, despite some uncertainties ahead. These included the final costs for patients sent to other districts, travel funding levels, backpays relating to expired collective employment agreements and other issues that may arise from the audit of the financial statements. 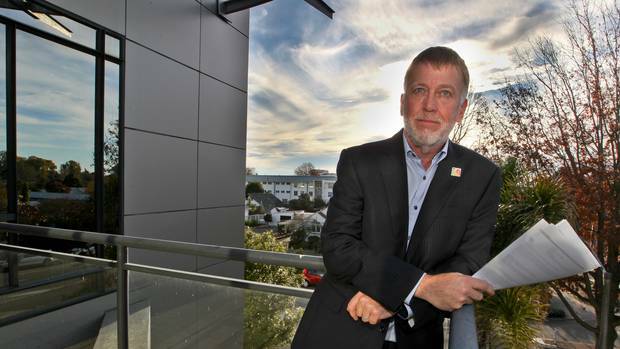 DHB chief executive Kevin Snee said that since he arrived into the role eight years ago it had become increasingly difficult to maintain a surplus, which had been achieved until this year. He pinpointed two main causes for the result – high numbers of patients, accounting for nearly $6m more than budgeted, and challenges in delivering savings. “We have been delivering savings plans as best we can but it was harder last year – maybe due to a bit of fatigue in trying to achieve that, and the run-up to the strikes has been quite destabilising. Heading into the coming year Snee said the DHB would look at refreshing its approach and looking more long-term at how it invested in the local health system. He said that included the Clinical Services Plan, designed to determine what the health system in Hawke’s Bay would look like into the future – what services will be delivered, how they will be delivered and where from – set to go out for public consultation next month. “We will also be looking to invest in innovative older people’s services – keeping people in their homes where appropriate for longer and giving more rehabilitation at home. Snee said that in the years ahead it would be important to engage all the brains in the organisation to help it live within its means, with a view to reaching a break-even position in the next few years. Safe staffing software confirming nursing shortages in some wards at Hawke’s Bay Hospital has led to a $1 million boost in nursing staff.